Two years ago, restauranteur Marc Roth didn't know anything about making ice cream. Today he's the founder of A La Mode, a completely nut-free, egg-free and sesame-free ice cream that has generated sales of $2 million. The brand, which has a successful shop in New York City, is already in more than 1,450 stores around the country. Restaurants are Roth's passion. By 35, he had launched and sold three of them in New York. Roth's WestSide Steakhouse was his last one, and it was pivotal because it allowed him to expand as an entrepreneur. "I had time on my hands to really think," said Roth. His wife Sandy gave him a nudge. "She had worked at a Baskin-Robbins as a kid and always wanted to open her own ice cream shop," he said. 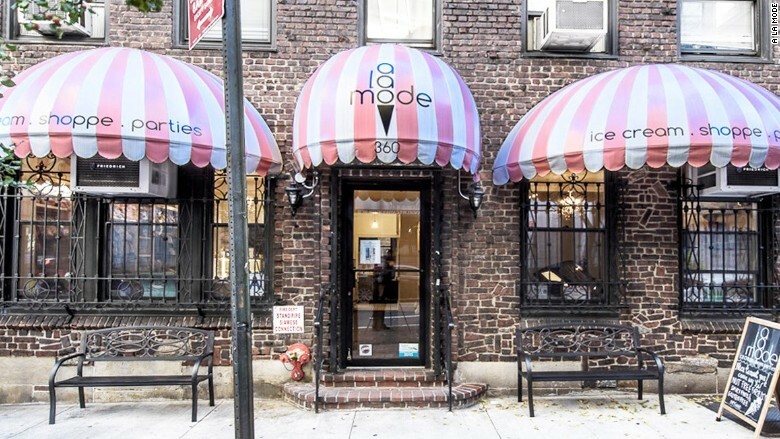 A La Mode's only ice cream shop is in New York City. When Roth spotted a vacant store across the street from his apartment building in NYC, he bought the lease in late 2014 and surprised Sandy with it. The husband-wife team transformed it into A La Mode's first -- and only -- ice cream shop. Roth wanted it to be a brand everyone could eat. "It was the one thing I was adamant about," he said. A La Mode ice cream is nut-free, egg-free. sesame-free. As many as 15 million people in the United States have allergies to nuts, eggs and other food products. 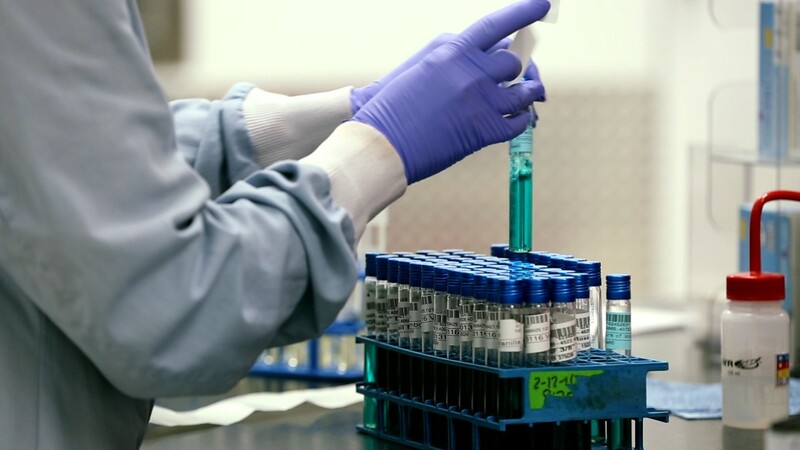 Food allergies also affect at least two kids in every classroom, according to FARE, a nonprofit focused on food allergy research. Roth's own nephew suffers from severe food allergies. Through his research, he learned that most commercially-produced ice cream isn't made in nut-free facilities. "There are so many people, especially kids, who can't have ice cream at all because of this risk," said Roth. 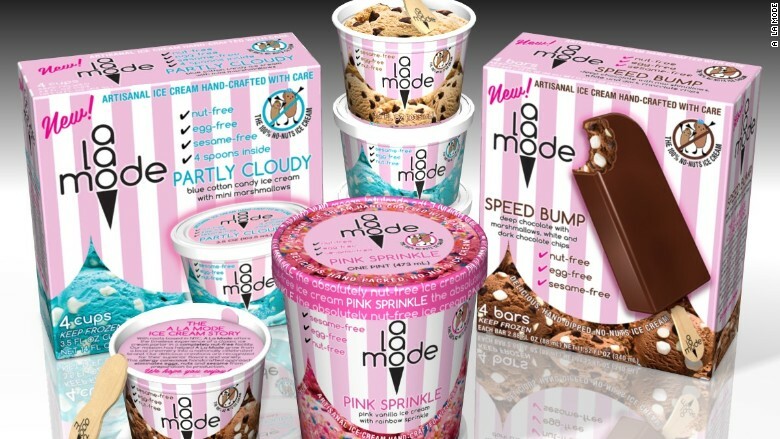 A La Mode supplies ice cream bars, single-serve cups and 16-ounce cups to retailers. 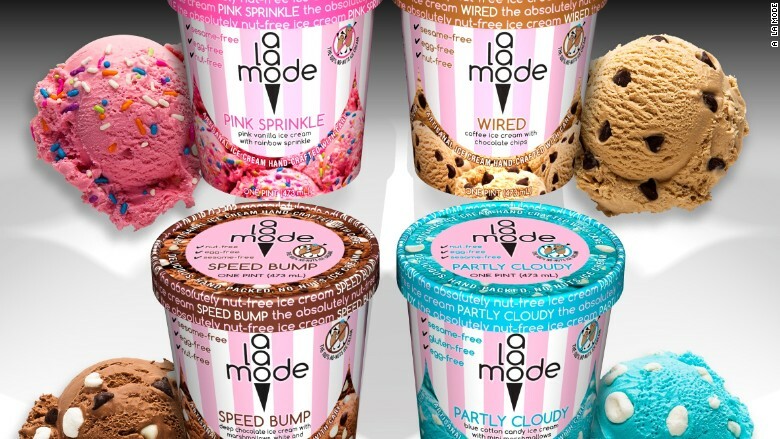 The A La Mode store opened in March 2015 with Roth making all of the ice cream in the store's back room. His wife, who designed the shop and converted one side into a children's clothing boutique, helped with customers. The business sourced milk from a local New York farm and used a Vermont vendor to supply it with nut-free M&Ms, peppermint bark and chocolate skippers. The store today sells a dozen rotating ice cream and sorbet flavors with fun names like "partly cloudy," a blue cotton candy flavor with marshmallows,"wired," a coffee ice cream with chocolate chips, and "pink sprinkle," a pink vanilla with rainbow sprinkles. Roth relied on word-of-mouth to draw customers. For the first two months, the shop would get 15 to 20 customers a day. But traffic shot up dramatically after one customer posted a photo of the shop on social media. "It was a parent who was so happy his child, who has nut allergies, could finally have ice cream," he said. As retailers jumped on board, Roth knew he had to ramp up production. He made a $1 million investment in a 5,000-square-foot factory in the Bronx and imported machinery from Italy. The factory operates five days a week with eight employees. With the retail expansion, Roth expects the business to be profitable by the end of the year. "We're just getting started," said Roth, who invested $3 million to launch the startup. But his quick success could attract copycats. "My eyes are open to that," said Roth. "I say, 'The more the merrier.' At least this way we're creating awareness about food allergies and giving people with allergies a chance to eat delicious foods most of us take for granted."